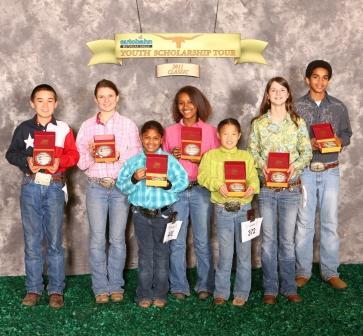 It was our first year to attend the TLBAA awards banquet during the Longhorn Weekend. To our surprise we were one of the recipients of the six awards that were given out. We received the Mel Raley Rising Star Award, which goes to a breeder who has been a member for five years or less, who has made an impact on the Texas Longhorn breed. A special thank you to Stephen Head for no minating us for this great award. This year the TLBT Fashion Show had a little extra flair. Each of the 39 participants selected a song of their choice and modeled to it. The judges were Mrs. Kim Richey, Mr. Steven Zunker, and Mrs. Lorinda Valentine. Each of the participants wore their own western attire and said a little something about themselves and what the TLBT means to them. In the Junior division Jonah took home the prize. Joseph won the Intermediate division, and Joshua won the Senior division. We had a great time with lots of laughs. The 2011 Fashion Show raised $1,700 dollars for the TLBT in addition to $1,500 in sponsorships. The Fort Worth Stock Show is always fun because you have lots of time to visit with people you don’t get to see very often. This year, Randy Allgood was the judge for the TLBT Youth Show. Jacob kicked off class 1 placing first with “VNR Rita.” In class 2, Joshua won first with “VNR Jamakin Miss” and Naomi placed second with “VNR Jamakin Breeze.” In class 9, Sarah placed first with “VNR Lil’ Bit Naughty” and Julia placed second with “VNR Dynamic Uno.” In class 10, Lydia showed “VNR Feelin’ Spooky” and placed second. In class 11, Hannah won with “VNR Mariana.” She went on to win Senior Champion Female and Reserved Grand Champion Female. In the bull classes, “Rough Rider 30” was shown by Jacob and placed second in class 19. Abigail showed “HD Flash Point” in class 20 and won first. In class 21, Abigail showed “DQ Paleface” and placed first. Sarah took Keely Dennis’ bull, “HD Flash Point,” in for championship and won Grand Champion Bull. In the steer classes, Samuel showed “DDM Joker’s Wild” and placed second. In class 27, Naomi showed “LLL Jeddadiah” and won his class. Junior division, Miriam Grace placed first and Jonah placed third. In the Intermediate division, Rachel placed first. In the Teen division Lydia placed first and Nathaniel placed third. We had a clean sweep in the Senior division. Abigail placed first, Samuel placed second, and Andrew placed third. I am so proud of them!!! 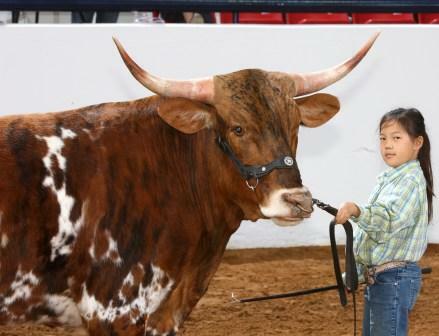 We had a great show and look forward to attending the Fort Worth Stock Show in 2012. 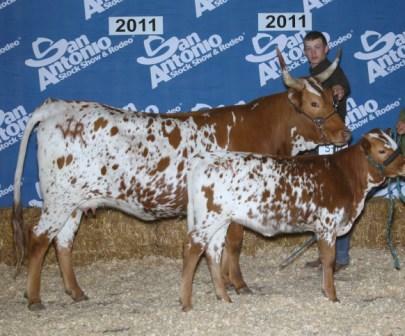 It was our first time to show at the San Antonio Stock Show. We almost didn’t make it because there was ice on the roads. We waited until afternoon and the roads thawed enough for us to make the trip safely. When we got there, the line to check in was hours long. We did not get to the barns until after dark. We were still washing animals after midnight so that we could show in the morning. It was a qu ick trip! We headed home as soon as the show was over. Junior Females: In class 1, Joshua exhibited VNR Jamakin Miss and placed 2nd. In the same class, Naomi showed VNR Jamakin Breeze and placed 3rd. In the next class, Jacob showed VNR Smarty Pants and placed 3rd. In class 3, Abigail showed VNR Jamakin Beauty and placed 2nd, following her in 3rd place was Diamond Q Lexie exhibited by Nathaniel. In the following class, Julia showing VNR Charlotte and won her class and in 2nd was Diamond Q Myrah shown by Lydia. Senior Females: Queen Maxine was shown by Sarah and she won her class. Following in 3rd place was VNR Platinum Edition. In class 8, Julia exhibited VNR Dynamic Uno and she won the class. VNR Lil Bit Naughty placed 2nd and was shown by Sarah. Joshua placed 3rd with SSR Sterling Silver. VNR Feelin’ Spooky was exhibited by Lydia and placed 2nd in her class. In class 10, Jacob showed VNR Sonita and placed 2nd in her class and also Reserve Grand Champion Senior Female and O verall Reserve Grand Champion Female. Bulls: DQ Cold Steel was shown by Joshua and placed 2nd in his class. Winning in class 17, was Rough Rider 30 exhibited by Jacob. 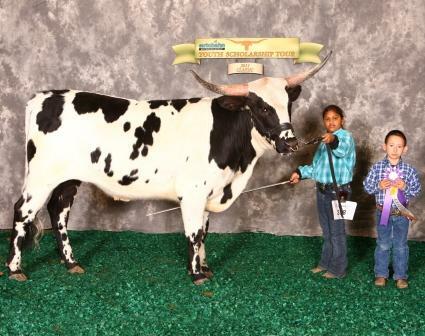 In class 19, DQ Paleface was shown by Abigail and won his class and went on to win Grand Champion Bull. 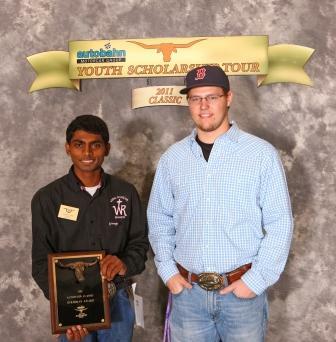 Steers: In class 24, VNR Song’s New Rhythm was shown by Nathaniel and placed 3rd in his class. In the next class, Samuel showed DDM Joker’s Wild and won his class. Following in 3rd was SH Bold Boy exhibited by Lydia. LLL Jeddadiah was shown by Naomi and won his class. In class 27, Miriam Grace showed VNR Song’s Remix and placed 3rd. Showmanship: In Junior Showmanship, Miraim Grace won 1st place and Jonah placed 2nd in the same class. Rachel won 1st in Intermediate Showmanship and Joseph placed 3rd. Lydia won 1st in Teen Showmanship. In Senior Showmanship, Andrew placed 2nd and following behind him in 3rd was Jacob. ine won her class with Sarah showing her. Abigail showing VNR Platinum Edition placed 2nd in her class. Senior Heifers: In the first class of senior heifers Sarah with VNR Lil Bit Naughty got 2nd in her class. In the same class Naomi showing VNR Starlit Bayou placed 4th. 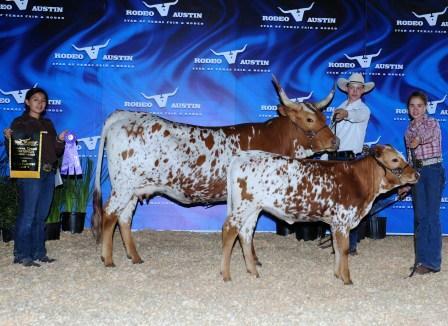 In class 18, ECR Houston’s Colada won and was shown by Lydia. VNR Dynamic Uno placed 1st in her class and was shown by Julia. VNR Feelin’ Spooky shown by Lydia won class 20. In class 23, VNR Sonita placed 4th in her class and was shown by Jacob. VNR Mariana shown by Hannah Faske won class 24. Bulls: In class 27 of bulls, Miriam Grace showed VNR Rafael and placed 3rd. DQ Cold Steel placed 3rd in his class with Joshua showing him. In class 32, Andrew showed DQ Elius for the Quary’s and placed 4th in his class. Abigail showed DQ Paleface and won her class followed up by winning Reserve Grand Champion Bull. Junior Steers: VNR Cinch was shown by Olivia and placed 3rd in class 35. Jonah showed VNR Bluegrass and won 1st place. In the same class, DDM Joker’s Wild was shown by Samuel and place 3rd. In class 36, SH Bold Boy was shown by Lydia and placed 4th. Jonah also won Reserve Junior Champion Steer with VNR Bluegrass. Senior Steers: In class 39, Naomi showed LLL Jeddadiah and won first place. Wildcatter 307 was shown by Julia and he placed 4th in his class. Miriam showed VNR Song’s New Rhythm and placed 1st in his class. Placing 3rd in the same class was Stone Ranger ECR shown by Andrew. Rachel showed VNR Belated in class 42 and won first place. Jacob showed L7 Painted Desert for Lexington Harris and placed 2nd in his class. VNR See My Buckle was shown by Jonah and won 1st in his class, followed by Hannah and Hang Em High BCB placing 4th. Rachel won Senior Champion Steer with VNR Belated. VNR Song’s Remix won Reserve Senior Grand Champion. VNR Belated also won Grand Champion Steer shown by Rachel. Showmanship: Miriam Grace won first place Junior Showmanship in Division A. In Division B of Junior Showmanship, Jonah placed 2nd. In Intermediate Showmanship, Joseph placed 1st in Division A. In Division B, Rachel placed 1st and Olivia placed 3rd. In Division A Teen Showmanship, Lydia placed 2nd and Sarah following her placing 3rd. Nathaniel placed 3rd in Division B Teen Showmanship. In Senior Showmanship Division A, Julia placed 1st, Andrew placed 2n d and Hannah placed 4th. Abigail won Senior Showmanship Division B, followed by Joshua in 2nd place. that won 5th place. In the Junior Speech Competition, Miriam Grace placed 2nd. In the Intermediate Division of the Speech Competition, Olivia placed 3rd. In the Senior Division of the Speech Competition, Abigail placed 3rd and Hannah placed 4th. In the Roping Contest, Miriam Grace won the Junior Girl Division. Lydia won the Teen Girl Division. Samuel won the Herdsman Award. He was awarded a beautiful heifer calf donated by Kyle Tanner. We could hardly wait for the San Angelo Stock Show because it gave us an opportunity to visit with our close friends, Robert and Kim Richey. We stayed at their home, which is so far out in the country side that there is not cell phone service or a land line. It was nice to get away from everything! On our way to San Angelo, several of the kids started getting a fever and by the time we got there we had three vehicles filled with sick children and adults. It put a bit of damper on our trip, but we still had so much fun. We stayed an extra day and as usual, the Richey’s were wonderful hosts and drove the kids around the pastures looking at cattle, goats, and even a cave. It was a wonderful trip and we hope to return next year…but healthy! 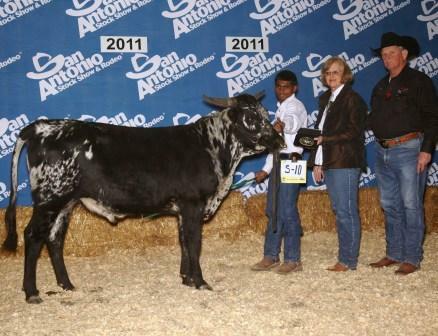 Junior Females: In the first class of the San Angelo Stock Show, VNR Rita was shown by Jacob and won 1st place. In class 2, Joshua placed 1st with VNR Jamakin Miss. Following behind him in 2nd place was Sarah with VNR Lady Guinevere. Andrew placed 3rd place with VNR Venus. Samuel showed TL Smokin Black Jewel and won 1st place in her class. In class 3, Hannah showed VNR Carmen and placed 2nd. In class 4, Abigail showed VNR Jamakin Beauty and won 1st place. Lydia showed Diamond Q Lexie and placed 2nd. VNR Lucinda was shown by Joseph and placed 3rd in her class. Diamond Q Myrah won 1st place in her class and was shown by Lydia. Joseph showed VNR Fancy That and placed 2nd in class 5. VNR Jamakin Beauty won Junior Champion Female shown by Abigail. 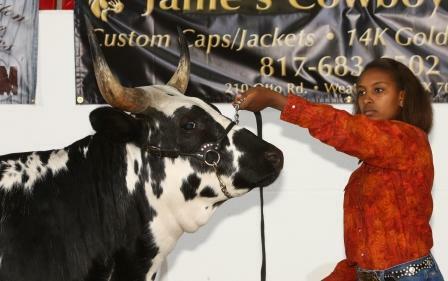 VNR Jamakin Miss won Reserve Grand Champion Junior Heifer and was shown by Joshua. Senior Females: In class 8, VNR Platinum Edition was shown by Abigail and won 1st place. Sarah showed Queen Maxine and placed 4th in her class. VNR Lil Bit Naughty was shown by Sarah and won 1st in her class. Following behind her was ECR Houston’s Colada shown by Lydia and placing 2nd. VNR Dynamic Uno was shown by Julia and placed 3rd in her class. VNR Feelin’ Spooky won her class with Lydia showing her. In class 11, VNR Sonita was shown by Jacob and won 1st place. In the same class, Hannah was showing VNR Mariana and placed 2nd. Diamond Q Perfecta was shown by Andrew and placed 3rd in her class. Senior Champion Female was VNR Feelin’ Spooky and was shown by Lydia. Reserve Senior Champion was VNR Lil Bit Naughty shown by Sarah. Overall Grand Champion Female was VNR Feelin’ Spooky shown by Lydia. VNR Jamakin Beauty was the Reserve Grand Champion Female Overall. Bulls: In class 18, Joshua showed DQ Cold Steel and placed 2nd. In the following class, Morado 1 was shown by Jacob and placed 2nd. Joshua showed Rough Rider 30 and won 1st place. In class 20, DQ Laredo was shown by Nathaniel Faske and placed 3rd. DQ Paleface was shown by Abigail for the Quary’s and won his class and went on to win Grand Champion Bull. Reserve Grand Champion Bull was Rough Rider 30 shown by Joshua. Steers: In class 27, VNR Cinch was shown by Olivia and placed 3rd. LLL Jeddadiah was shown by Naomi and won 1st in his class. Andrew showed Stone Ranger ECR and won his class. Showmanship: Miriam Grace won 1st in Junior Showmanship followed by Jonah placing 2nd. In Intermediate Showmanship, Rachel placed 3rd. In Teen Showmanship, Nathaniel placed 2nd and Lydia placed 3rd. In Senior Showmanship, Abigail won 1st place and Andrew followed in 2nd place. Junior Females: In the first class of females, Jacob is showed VNR Rita and placed 2nd. VNR Jamakin Miss placed 3rd in her class and was shown by Joshua. Following behind her was Sarah showing VNR Lady Guinevere placing 4th. In class 4, Samuel showed Tierra’s Boom Tango CP and won 1st. Placing 2nd in class 4, was VNR Lucinda shown by Joseph. Diamond Q Lexie was shown by Hannah and placed 4th in her class. In the next class, Julia showed VNR Charlotte and won 1st place. Diamond Q Myrah placed 4th in her class and was shown by Lydia. The Junior Champion Female was Tierra’s Boom Tango CP and was shown by Samuel. Senior Females: VNR Platinum Edition was shown by Abigail and won 1st place. In class 9, SSR Sterling Silver was shown by Joshua and placed 4th in her class. VNR Dynamic Uno was shown by Julia and placed 2nd in her class. In class 10, VNR Feelin’ Spooky placed 3rd and was shown by Lydia. Hannah showed VNR Mariana and placed 1st in class 11. VNR Platinum Edition won Reserve Senior Champion Female with Abigail showing him. Tierra Boom Tango CP won Reserve Champion Female Overall and was shown by Samuel. Bulls: Julia showed DQ Cold Steel and won 1st in class 18. In the following class, Jacob showed Rough Rider 30 and won 1st in his class. In class 20, Nathaniel exhibited DQ Laredo and placed 4th in his class. Abigail showed DQ Paleface and placed 1st in his class. DQ Paleface won Grand Champion Bull Overall with Abigail as the exhibitor. 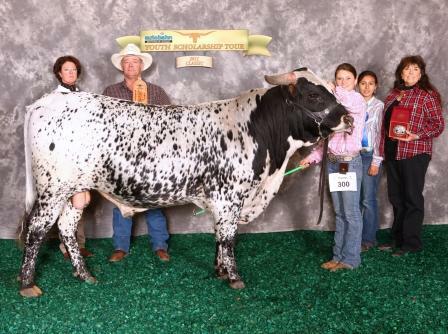 Rough Rider 30 was exhibited by Jacob and won Reserve Champion Bull. Steers: In class 27, Nathaniel showed SH Bold Boy 3/10 and placed 3rd. In the same class, Samuel showed DDM Joker’s Wild and placed 1st. LLL Jeddadiah was shown by Naomi and placed 1st in class 28. Showmanship: Miriam Grace placed 2nd in Junior Showmanship followed by Jonah placing 3rd. In Intermediate Showmanship, Joseph won 1st place. Nathaniel placed 1st in Teen Showmanship. 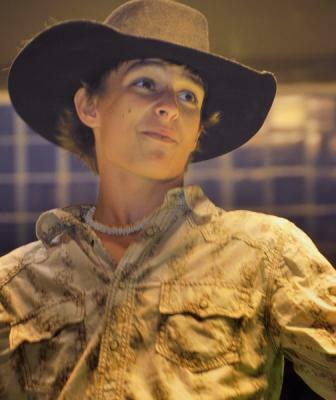 We love the Star of Texas Fair and Rodeo, and this year we actually had really nice weather. This is one of our favorite shows because it is so close to home and it is usually very well organized thanks to some great folks in the South Texas Longhorn Association. There were two youth shows at Star of Texas and we competed in both. Junior Females (Show B): In class 1, Jacob exhibited VNR Rita and won 1st place. In class 4, Hannah showed Diamond Q Lexie and placed 3rd. Diamond Q Myrah won 1st place in class 5 and was exhibited by Lydia. In the same class, VNR Charlotte placed 2nd and was shown by Hannah. 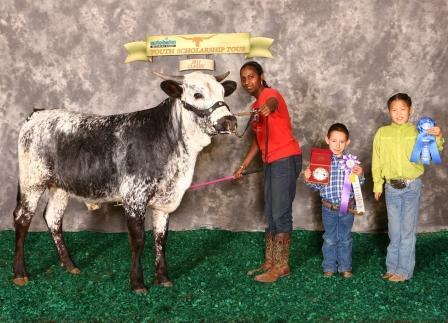 Junior Champion Female was Diamond Q Myrah and was shown by Lydia. VNR Charlotte won Reserve Junior Champion Female with Hannah showing her. Senior Females (Show B): In the first class of senior females, Sarah exhibited Queen Maxine and placed 2nd. Following her in 3rd place was VNR Platinum Edition shown by Abigail. In class 9, Julia showed Uno and won 1st in her class. VNR Lil’ Bit Naughty placed 2nd and was shown by Sarah. In the following class, Andrew exhibited VNR Feelin’ S pooky and won that class. In class 11, Hannah showed VNR Mariana and won her class, following in 2nd came VNR Sonita who was shown by Jacob. VNR Dynamic Uno won Senior Champion Female and also Grand Champion Female Overall. Hannah exhibited VNR Mariana and won Reserve Senior Champion Female. She also went on to win Reserve Grand Champion Female Overall. Bulls (Show B): In class 16, Samuel showed VNR Rafael and won his class. DQ Laredo was exhibited by Nathaniel and placed 3rd in his class. Abigail showed DQ Paleface and won his class and also Grand Champion Bull. Abigail and DQ Paleface have had a great year with many, many wins. Steers (Show B): In class 26, DDM Joker’s Wild placed 2nd and was shown by Samuel. Following in 3rd was SH Bold Boy who was shown by Joshua. In the next class, Naomi showed LLL Jeddadiah and won that class. VNR Belated was exhibited by Rachel and won his class and then placing Grand Champion Steer. Miriam Grace showed VNR Song’s Remix in the same class and placed 2nd and also went on to win Reserve Grand Champion Steer. Showmanship (Show B): In Junior Showmanship Miriam won 1st and Jonah placed 2nd behind her. Olivia won Intermediate Showmanship and Joseph placed 2nd. In Teen Showmanship, Lydia won 1st place and Sarah placed 2nd. Abigail placed 2nd in Senior Showmanship and Andrew placed 3rd.